You need to increase your capital by getting more of your goods to your consumers, but this of course is going to cost you more. This is where decisions get tough and we get that. When a call to an action requires money, there are two ways to generate more revenue, but with every new plan comes a list of pros and cons. 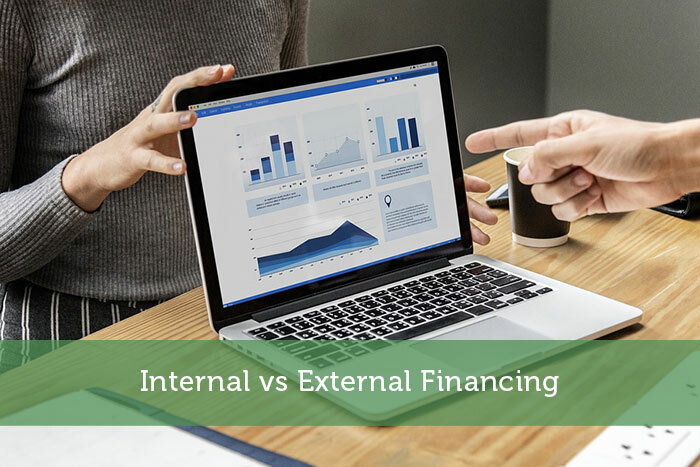 Internal funds, unlike external funds, come from the assets within a company, but still serve the same purpose as external—to assist businesses in increasing capital growth—the funds will come from the business’s profits and savings. Every business plan comes barring advantages and disadvantages, and we’ve listed some of them below to help you narrow your search down to what may be a better fit. Unlike external financing, internal allows you to make your own decisions because you’re not expected to share a portion of ownership. As a business, you’d be using your own resources. The cost of internal financing will always be low because there are no fees, and you’re also not investing in loan funding, which means some of the biggest costs could be those involving interest. In order for a company to increase growth, it must be aware of its resources to ensure it has enough of them. yes, having control over your own assets is a luxury, but because you’d be using your own, this could be a gateway to increased, internal debt. This goes back to using your own resources within internal funding, as well as the biggest cost being interest. The higher the interest, the bigger the possibility for debt. —Borrowing a secure quantity from a lender, which is paid back with interest. —A company sells a portion of its shares to an investor in exchange for cash. We know when it comes to business capital, like internal financing, pros and cons will come externally, too. The short list below will allow you to make a sound decision in getting the resources you need. One of the key ingredients to a successful business, no matter at what stage, is growth. External financing allows them to use external funding, especially if it’s difficult for the business to be funded on its own. Putting the pro in advantage means, with external financing, the information being received from experts is unlimited. There are so many resources available to business owners who need assistance. When receiving resources externally, there’s always going to be some type of exchange. In this case, shareholders and investors are going to expect a portion of ownership in your company, which means all rules may not be made only by you. It’s similar to sharing a dinner plate. Initially, it’s going to take some negotiating within the decision to share.